Men's Sterling Silver Chain : LOVE2HAVE UK! 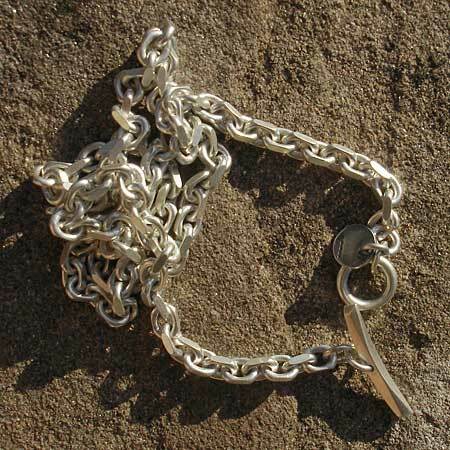 A solid sterling silver men's chain that measures 18 inches long. 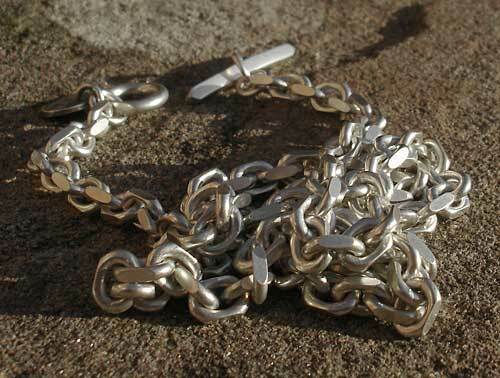 This chain is the medium size version of the filed trace chain designs we feature. Each link is 4mm. It has a stylish T-Bar fastening with sleek shaping that fastens securely. The shaping has a lovely designer quality to it with its contemporary form, and the links have a flat surface on each. The designer describes these links as filed as each one comes meticulously worked by hand. The chain comes in a matt finish.